Here at Future Solutions, we have built thousands of automations and integrations. The best thing about automations and integrations is when they’re there, they’re there. You don’t need to think about them any more. To quote the late great Steve Jobs, “It just works“. One of our favourite automation platforms is Globiflow. Globiflow turbocharges Podio and in our opinion, Podio would be a shadow of the infrastructure that it is without it. One of our clients is a speakers agency and is a one-person band. They use Podio with Globiflow for everything from contract offer, negotiation and acceptance to billing. That’s 1 person doing the work of a full time team of 4. They save 145 hours of work every single day, 365 days a year. One of our clients runs an specialist education website with 6 full time employees. They use Podio with Globiflow. A lot. If one person worked from 1st January to 31st December for 24 hours a day, our client would complete the same amount of work automatically on the 27th of January. Interested? Get in touch to see how Future Solutions could help you optimise and leverage your resources, and help your organisation get more output for much less work. Workers in a hurried commute with frequent nervous glances to their watches are a standard feature of a typical workday. Several strong cups of coffee, needless chit chat in colleagues’ cubicles, hours spent playing office politics and then it is closing time. The workers head home and the cycle repeats itself all year long. With more employees getting burned out and having unexplained absences from work, more organizations are having to consider the flexible option of remote work – a workforce working outstation that is often from home. However, seeing as the home front is typically associated with relaxation, some managers’ balk at the idea; their minds conjuring up images of a worker in their pyjamas laid up in front of the TV all day, active on social media and yet still getting paid. Is that really the case though? Read on to see seven remote work myths debunked. 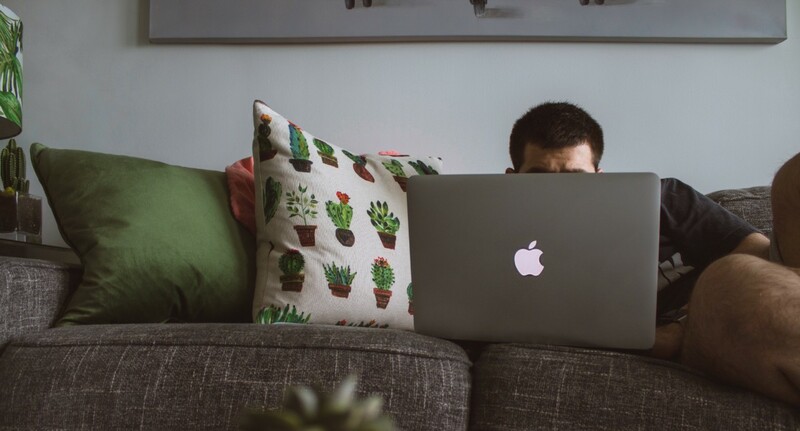 It is a popular misconception that the remote worker lives in their pyjamas all day and are usually less productive than the office worker; more so, there is no manager available to keep an eye on them. However, statistics have busted this myth as surveys have shown that remote workers are 13.5% more effective than their deskbound counterparts. As it turns out, remote working is devoid of the distractions common in an office environment such as idle chit chat, coffee breaks, and frequent meetings. A remote working situation gives the employee greater control over ensuring that their work environment is free from interruptions. The result is a more productive and efficient worker. That the remote worker is not often physically present at project management meetings and brainstorming sessions concerns some managers who assume the worker cannot fully be abreast and in the loop of developments. This need not be the case. With a project management application like Podio, team members can readily upload all project related materials, files, pictures and status updates in one transparent folder accessible by all. Podio keeps the remote team inclusive in the loop and well coordinated, bypassing time-consuming project meetings and improving efficiency. Podio can be totally customized to suit the needs of a specific project with the project overview and report visualizing in any display of your choice. Just as desk workers have lunch breaks and closing times, so does the remote worker. Not being physically in the office does not automatically translate to being on the clock 24/7. The remote worker who plans to work effectively structures their work day so as to ensure a healthy work-life balance. Syncing calendars to match that of other colleagues who might be in different time zones and planning their activities around set deadlines are all ways remote workers manage their time. Many remote workers even set up home ‘offices’ complete with a desk and computer that puts them in a mindset for work and where they can work without interruptions from family members who may assume their being at home means they are on vacation. As the remote worker’s work station is primarily and oftentimes at home, it has been erroneously presumed to be a shortcut out of ‘real’ work. The truth is that only very self-disciplined individuals can efficiently work remotely. If you are the sort of person who cannot get out of bed without someone coming to drag you or the sort for whom endless chatting on social media and lengthy calls with friends is a temptation, then remote work is not for you. As video conference calls are common in remote working, lounging around in your PJs is not an option; at least not if you want to be taken seriously. Getting dressed and appearing professionally is a requirement. Remote working is as the name suggests, remote. Remote can be anywhere not necessarily at home. Many remote workers have found the local café, a home office, a public park, co-working spaces or even outside the country a suitable place to get work done. Being cooped up in the office with its plain walls can be quite draining. With remote working, you can take a breather and work in an environment of your choice that would encourage a better workflow. And with so much technology more readily available than ever before, all a remote worker needs to remain connected and able to work is an internet connection. What’s more, with a cloud-based, cross-platform like Podio remote workers are offered the perfect tool for working and collaboration. It is a common misconception that one needs to be physically present to participate in meetings fully. Often because of the ready availability of employees in the office, meetings tend to be called for at every opportunity causing distractions and a break in the workflow. Even worse, such meetings drag on endlessly. With remote workers who have had to sync their schedules and make trips from various locations to make the meeting, such discussions are actually much more productive as the meeting is brief with matters on the agenda getting treated in a timely manner. This leads to greater efficiency for the workforce as a whole, as fewer meetings are held and in less time. Seeing as remote working is very flexible, not limiting the employee to work within a certain time or place, a remote worker can only be lonely if they choose to be. Operating from a shared coworking space, working over lunch with friends or even dropping by the office for some face time with colleagues are all ways to maintain contact with other human beings. Being remote, most telecommuters have to do a lot of communication to keep the team updated. With frequent emails, phone, and video calls, there really isn’t much room for loneliness. Future Solutions is an Authorised Podio Partner. 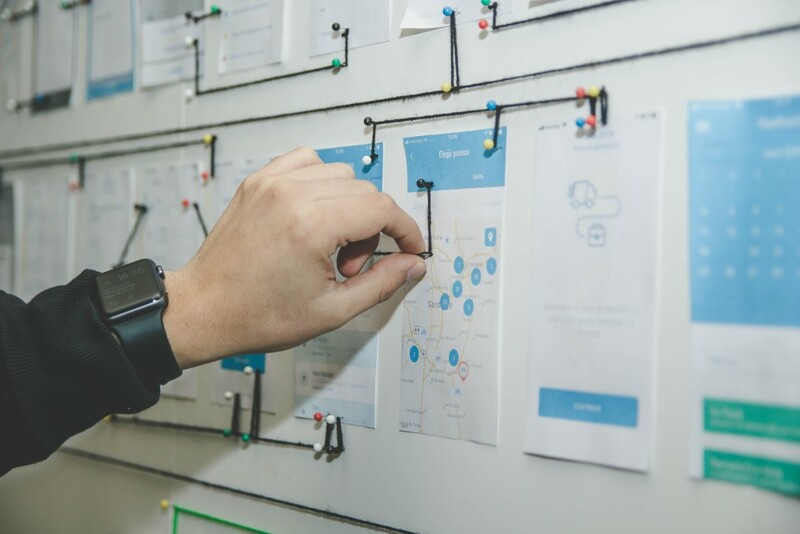 By developing a project management solution, your organisation can manage big data and complex processes effectively and efficiently. We can help design and build your Podio platform from scratch, optimize your existing setup, and integrate your systems through custom API work amongst many other things. To find out more about our services or if you have a question for us, or are you itching to get started, please get in touch and we will be happy to talk through your ideas further. Are you a small business owner or a manager of a team of employees? Whichever category you fall into, you must at some point been faced with the challenge of managing employees to promote a more efficient and productive working environment. Seeing as running a business is a capital intensive venture with recurrent and unavoidable expenditure such as rent, power bills, repairs and maintenance, procurement and staff costs, if you do not have practices in place to enhance efficiency and productivity, you just might end up running at a loss. Some employers and managers resort to sharp practices to promote efficiency only to have run-ins with labour unions and an unhappy, inefficient workforce. To avoid all this, read on for seven practices to ensure your business runs efficiently. People can only be efficient when they know what they are doing and what is expected of them in the first place. Training is the way to provide learning opportunities for staff to gain new knowledge, hone their skills and discover new methods of doing things. Some companies shy away from training due to cost concerns, preferring to use the trial and error learning method with staff. Online training, webinars, and conferences are cost-effective options worth considering. Running your team as an overseer managing workers on a plantation is not a management style that fosters team spirit. You are more likely to create an ‘us against them’ dynamic. Connecting with your staff, getting them to understand and share the organisation’s vision would make them more enthusiastic about their jobs. When your staff are emotionally engaged with your organisation, they put forth their best and even bring forward fresh ideas to take the organisation in the desired direction. Do not rely too much on emails and motivational quotes, get the engagement done in person. Plan team building sporting events or social gatherings to engage your staff in a relaxed atmosphere. As your staff don’t own the company, their zeal and commitment might not be as much as yours and may require some form of a reward system built around recognition for their support and hard work. Some managers concerned with keeping their overhead down offer ‘promotions’ without pay: a new title with increased responsibility but no additional pay or perks. More times than not, the results of this are counterproductive as you end up with staff disgruntled and disillusioned with the company. Inefficiency becomes the order of the day as your employees no longer care. Incentives need not always be monetary. A special meal with the Chief Executive Officer, additional leave days, free social/sports club memberships or public recognition are ways to encourage and reward hard-working employees. A number of companies have time-consuming processes and routines that are not particularly relevant to the job and take up time that could have been widely used to complete tasks. Forty-minute meeting sessions every morning are a part of some companies’ routine. Other organisations are more focused on time spent at work than on actual work that got done. Are you that manager who gets all riled up seeing staff leaving at 5pm despite that being the official closing hour? Do you measure commitment by the length of time spent beyond stipulated closing times on a regular? Keep your eyes on the prize, focusing on productivity and results rather than time spent. Do you have an employee who is very smart, hardworking and committed to always getting the job done? Is this staff also a single parent with frequent time off work to address domestic matters? Or is the staff an only child with aged parents requiring frequent visits? You could lay off the employee and take your chances retraining a new hand or you could tap into the world of remote work. Consider offering the opportunity for such persons to work from home checking into the office for face to face meetings at agreed times. Oftentimes a lot of jobs do not require actually sitting in an office to get it done. With the use of a project management application such as Podio you can manage big data effectively with your team remotely. This means more efficiency and a happier working environment. Multitasking is a ‘thing’ in the business world with many employees taking pride in their supposed ability to do a thousand and one things all at the same time. The reality of it though is that a bunch of projects get picked at with the important stuff hardly getting done. Focus on priorities and do not bog down your employees with work that really can wait. Be clear on your expectations and the timeframe in which the task needs to be accomplished. Attempting to multitask is similar to a juggler trying to juggle ten balls all at once. Chances are high he can hang onto all balls if they are thrown in one at a time. Ten balls all at once will likely end with all of them on the ground and the juggler disoriented. Cases of messages getting lost in translation happens a lot more frequently than one would think. Send email messages directly to the person concerned rather than through a third party. Encourage open communication by not fostering a culture of fear where employees fear reprisals through appraisals. Employees in a healthy work environment feel free to share concerns, feedback on public perception of the organisation and ways things can be better done when open communication is encouraged. When the feedback is negative, endeavor not to react emotionally, lashing out at employees or threatening them with summary dismissal. Staff and humans, in general, tend to work more efficiently in a system where they feel heard rather than in an atmosphere of fear. Posted by Pete Cuff on 10:28 pm in News | Comments Off on Get ready for launch! Today we are excited to announce the official launch of The Future Group! The Future Group is a collection of organisations seeking to achieve positive change. Our vision is a society where all organisations are led by socially conscious people. Our mission is to create a more sustainable and brighter future, by inspiring individuals and supporting organisations to achieve their full potential. We have four founding members: Future Foundations, Future Foundations Society CIC, Future Solutions, and our pioneering leadership movement Global Social Leaders. Bringing them together under one banner helps to communicate that they are all part of a bigger idea, that they all work together to achieve positive change, and they are all united. We also have four key partners: Devas Club, Lovvol, Oxbridge Guardians, and our latest partner Role Models. All our partners work alongside us in our office hub in the Devas Club building (in Battersea, London), and share our vision and mission. We will be holding our launch day on Saturday 2nd December at the Devas Club in a jam-packed day of workshops, sessions, experiences, sport, and socials running throughout the building. Save the date! We are looking for members of our network to volunteer to lead a session that they are passionate about that is aligned with our vision and mission: sound like you? Please register your interest here. Watch this space for further announcements and follow #ourfuturegroup on social media. Posted by Pete Cuff on 5:00 pm in Blog | Comments Off on Is Efficiency Important? It seems efficiency is increasingly high on the list when people are buying things these days. From fridges to dishwashers, from cookers to TVs — even entire houses — it feels like everything these days has an energy rating slapped all over it. People up and down the land are feeling the smugness of having a A+++-rated lightbulb, and the overwhelming guilt of a G-rated portable radiator stuffed in their attic (hidden away from judging eyes of course). PC Magazine has awarded Podio with a prestigious Editors’ Choice Award for “The Best Online Collaboration Software of 2016”. Here at Future Solutions, we’ve known the power and possibilities of Podio for years and we specialise in designing, implementing, supporting and training others on how to transform their businesses through the power of a Podio platform. If you’d like to know more about how we could help you, contact us to arrange a free consultation.